During the early years I concentrated my business on diecast models because this is was where my interest was at the time. 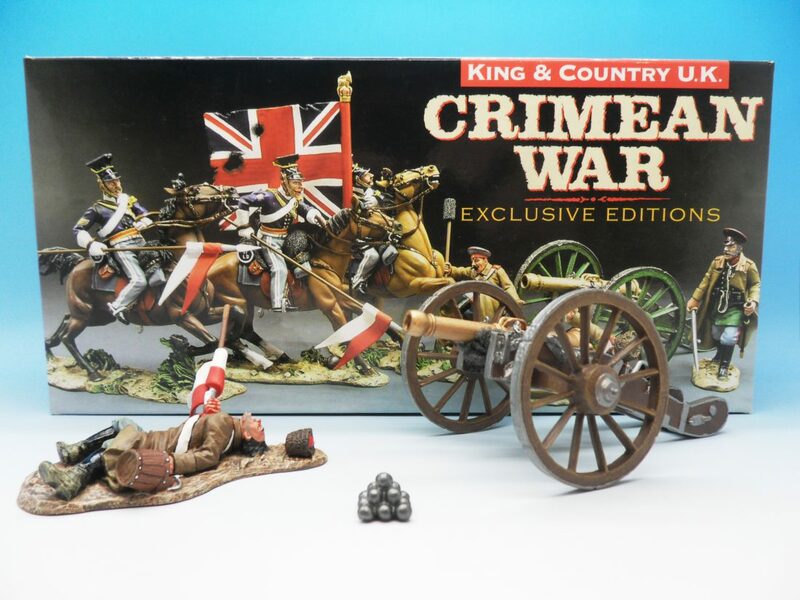 After a couple of years of purely dealing in diecast I was contacted by collectors who not only had diecast for sale but also had collections of toy soldiers that they wished to sell. Over time, I began buying more and more toy soldiers and have since gained a wide knowledge of the subject. 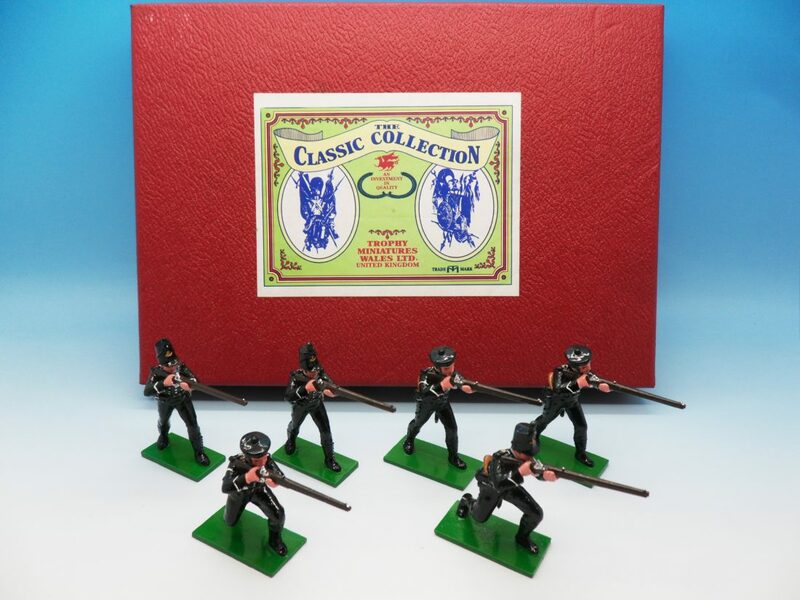 The name that most people think of when talking of toy soldiers is likely to be Britains. They have been making toy soldiers since the late part of the 19th Century when Queen Victoria was our monarch! Despite changing hands several time in its recent history the company is still making high quality figures today. 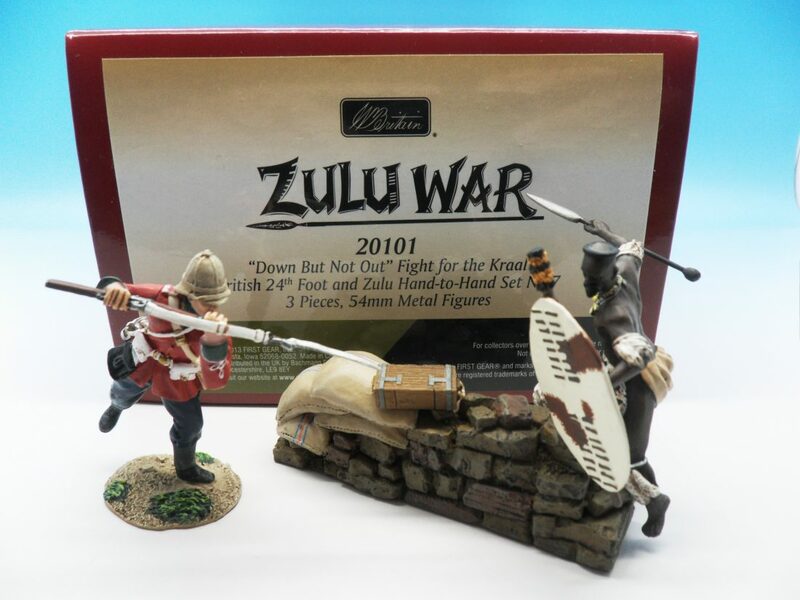 Britains have made figures representing a wide range of subjects over the years covering modern and historic wars and eras including WW2, Zulu and the American Civil War to name a few. They have also produced civilian figures, farm circus and zoo animals. Again this is just a few of the areas that they have covered. Over the years there have been many manufacturers that have produced toy soldiers some on a large scale and others little more than a one man outfit. Some of the better known companies include King & County, John Hill Co, Elastolin, Trophy, Conte, Thomas Gunn, Timpo, Forces of Valour and Tradition of London. These manufacturers use a range of material including lead, diecast, white metal, resin and plastic to produce their soldiers. Probably the favourite scale is 1/32 or 54mm with some favouring 1/30 or 60mm. Some of the figures were originally sold as individual figures with or without boxes. They have also been produced in sets together with buildings, forts and vehicles. There are some very skilled collectors out there that have formed battle scene dioramas and farm layouts. Identification of modern soldiers with boxes is straight forward as all of the information is present. Some of the early figures that have since lost their boxes and are often not clearly identifiable can be more difficult to value and may require more detailed research which in this day and age of the internet is a lot more straightforward than it once was. Having said publications like ‘The Great Book Of Britains’ by James Opie is the bible for Britains collectors. 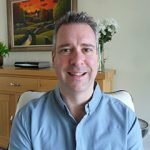 Where you have a modern collection of figures, a vintage collection or a mixture of the two I would very much like to hear from you and I am confident of making you a fair offer for your collection. If you have a make or scale not mentioned above I would still very much like to hear from you. Part of the enjoyment of this business is learning and investigating. Published in issue 86 February/March 2019 of Toy Soldier Collector Magazine.